Hello everyone, Kirsten here with a quick post for anyone interested in attending the Lisa B Designs Christmas Party classes on December 2 in Fant Lane Community Hall, Maidstone. Quantities are now very limited, so Lisa needs to complete her order with Imagination Crafts in the next few days. If you would like to attend one of the classes, please choose your bauble design & email Lisa - lisabaker1@btinternet.com - by 6pm on Tuesday evening, October 11. If you would like to purchase extra baubles they can be ordered at the same time. The cost is £10 each & payment must be made in advance. 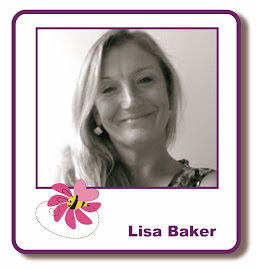 Lisa can take card payments over the phone - 01622 675078. The Christmas party classes will be from 2.30 to 5.30pm & 6.30 to 9.30 on Friday, December 2. Lisa provides a hot & cold buffet & there will be games & raffle prizes. The cost of the December class is £18 & a deposit of £8 will secure your place. Both classes are filling up already, so if you would to join us, please don't delay, choose your bauble design & contact Lisa as soon as possible.